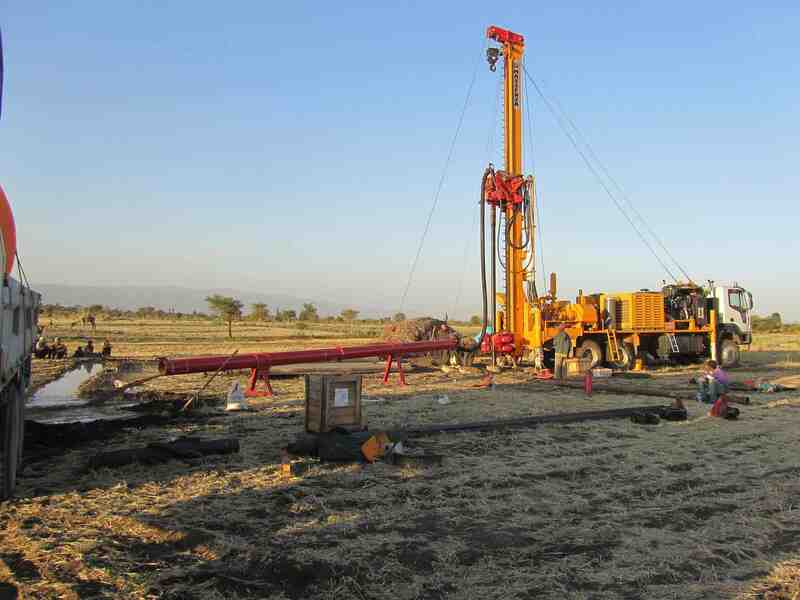 This system is generally used for large diameter wells and consists of returning the drilled material and flushing medium to the surface inside the drill pipes. The pressure and flow of the drilling fluid at, and immediately behind, the drilling bit effectively flushes the drilled material away from the bit and also prevents the borehole from collapsing. 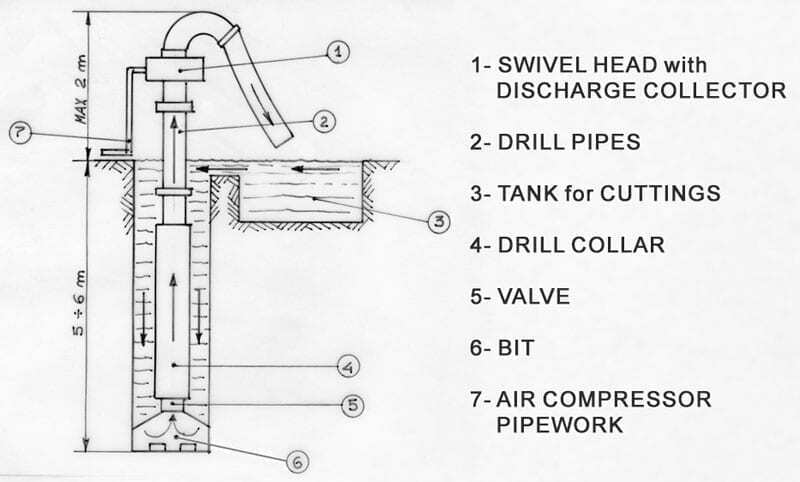 Further back from this the hydrostatic head of the drilling fluid ensures the stability of the hole and its viscosity (calculated according to the flow of fluid provided from the drilling rig and the diameter of the hole) must be such as to allow the transport to the surface of the drilled material. The fluid consists of water or natural light mud, but if needed, also bentonite polymer based mud can be used. To allow the removal of the coarser material, the ascent speed of the fluid must be not less than 2.5 to 3 m/sec. 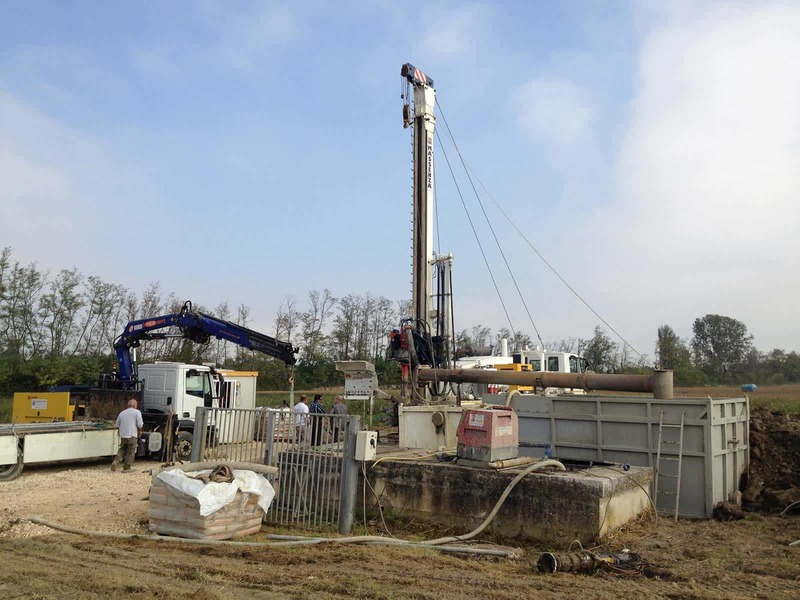 The excavation system can use the force of impact of a percussion tool or the combined action of the rotation of the tool and the torque applied to it. 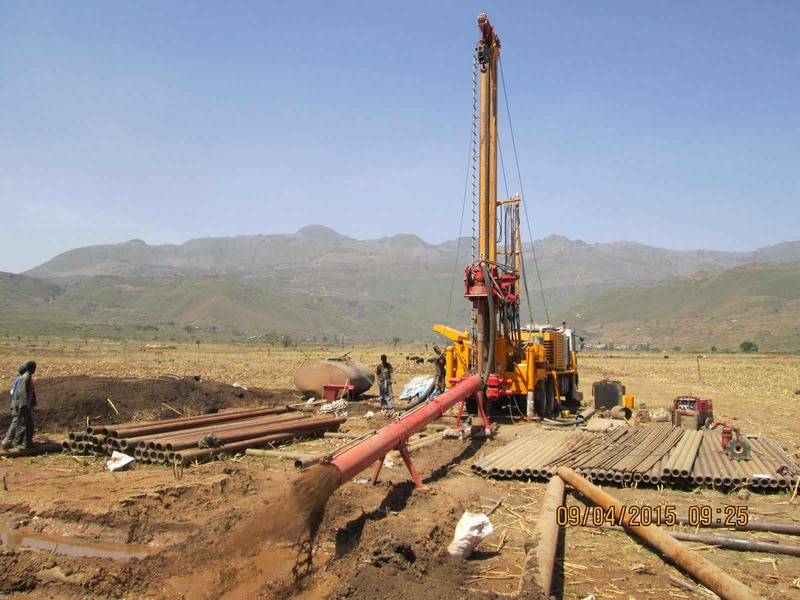 It is best to use this technique in the drilling of loose alluvial soils including boulders and large stones (these last ones especially with percussion). This technique can also be applied to those consistent formations, like sandstones, conglomerates, marls (but with less effectiveness).